WASHINGTON – They are the workers whose jobs serve the people of the United States. But as the partial government shutdown enters its second month, with no apparent end in sight, thousands of government employees now are relying on the people of the United States to help them feed their own families. It’s like one giant government bread line – except for government workers. The outpouring of support has been widespread and creative, high-profile and grass-roots. 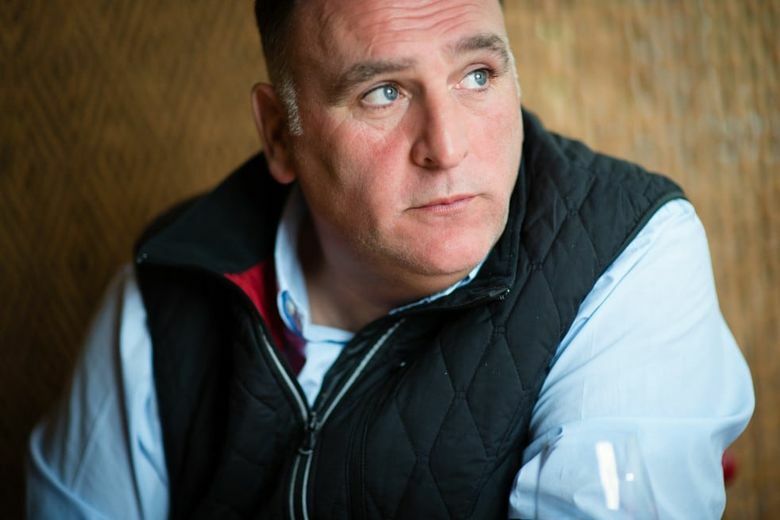 For every relief kitchen opened by José Andrés and his nonprofit World Central Kitchen – the celebrity chef and humanitarian recently said more kitchens are coming after the first one debuted last week in Washington – there are countless small markets and programs. A farmers market in Greensboro, North Carolina, is matching every dollar that a federal contractor or furloughed employee spends, up to $50, essentially extending supplemental food stamp benefits to government workers. A relief agency in Philadelphia is, for the first time in its history, enacting a disaster plan to help feed federal employees. The Capital Area Food Bank, which usually helps low-income residents in the Washington area, has expanded its assistance to include “pop-up markets” at Giant Food stores to pass out free groceries to furloughed feds. Even a nonprofit health-care system in southern New Jersey has started an emergency food drive. 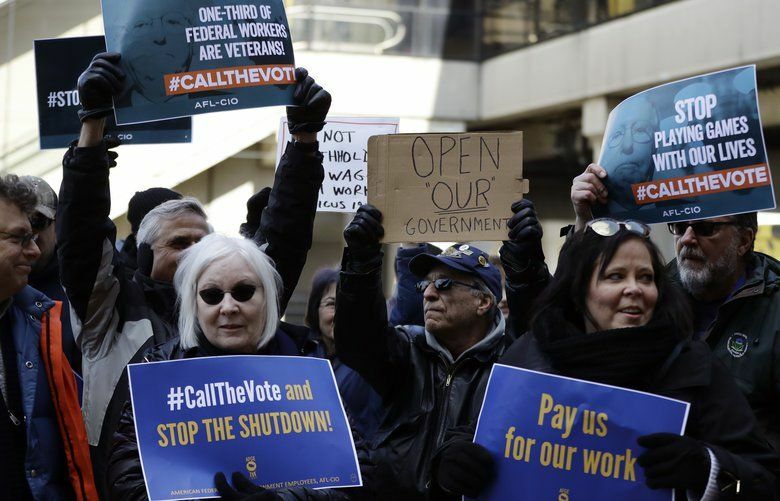 PayItFurloughed is designed not only to express compassion to hard-pressed federal employees but also to help small craft breweries, which can’t bottle or can new beers because the government doesn’t have the resources to approve labels, Martell said. The Washington breweries currently involved with PayItFurloughed are 3 Stars, DC Brau and Atlas Brew Works. Martell said that he and Goldberg – who invested a total of $1,000 in the project – are looking to expand PayItFurloughed to other cities and regions, probably starting with the suburbs around Washington, where other small breweries could participate. Purchased beers will remain available for a week after federal employees receive their first back paycheck, Martell said. Nate Mook, executive director of World Central Kitchen, said Wednesday that the nonprofit has already activated food trucks and restaurants in several areas, including Little Rock, Arkansas; Cincinnati; Puerto Rico; and Los Angeles. What’s more, he said, some celebrity chefs and restaurateurs have signed up for duty in their respective towns. They include Rick Bayless and Stephanie Izard in Chicago; Spike Mendelsohn in Washington; Ming Tsai in Boston; and Andrew Zimmern in the Minneapolis area. In the meantime, Mook said World Central Kitchen, its partners and volunteers have prepared and served thousands of hot meals a day from a tiny lab kitchen in the District. The menu changes daily but typically includes a sandwich (such as a Philly cheesesteak with grilled onions and peppers), a bowl (such as a sesame rice bowl with edamame, carrots and broccoli) and a hot soup (such as butternut squash puree). 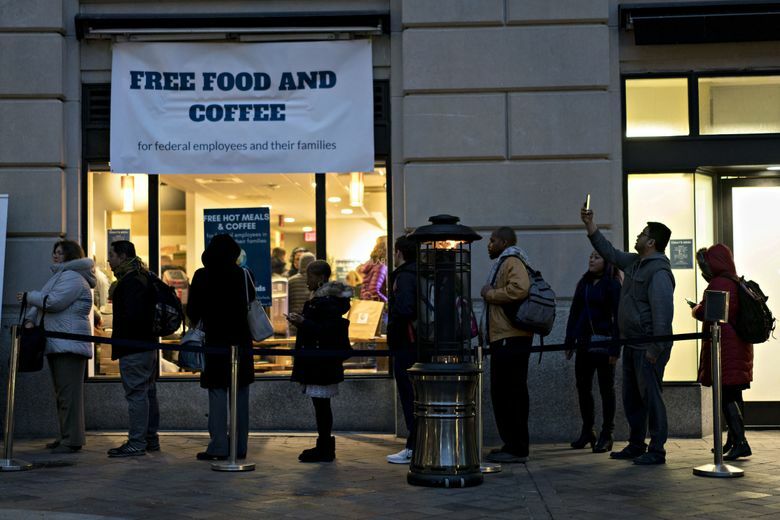 The line of federal workers seeking sustenance often snakes down Pennsylvania Avenue and up Seventh Street NW, Mook said. Furloughed employees are seeking not only food but also basic goods – diapers, pet food, groceries – at a resource center that World Central Kitchen has set up in the former 701 restaurant, which recently closed.